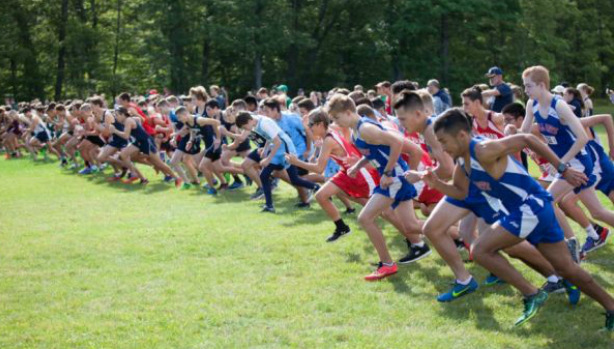 The meet portion of the cross-country season officially kicks off this Saturday with the annual Injury Fund Carnival at East Greenwich High. The meet is scheduled to begin with the Mike Katz Race at 9 a.m. The final race of the day starts at 1:30 p.m. with the Caswell Race. Below is a complete schedule of the races and teams. In last year's event, eventual state champion Bishop Hendricken demonstrated its outstanding depth in the Jay Brennan Race. Led by an individual victory from Jack McMahon (16 minutes, 13.41 seconds), the Hawks took 11 of the top 12 placements, scoring a meet-low 18 points. The host Avengers dominated on their home course with the boys scoring just 32 points in the Federico Race and the girls racking up only 35 points in the Caswell Race. La Salle runners posted the fastest times of the day in their respective races. Joseph dos Reis clocked 16:11.08 in the Kelly Martin Race and Grace Connolly was first in the Connolly Race with an 18:25 clocking. Both teams went home with the winning hardware. Only freshmen will be allowed to run in the Ray Dwyer Freshmen Race. All of your other team members will run in your assigned race. There will be no distinction between Varsity and JV. Only freshmen will be allowed to run in the Bob Leddy Freshmen Race. All of your other team members will run in your assigned race. There will be no distinction between Varsity and JV.